Another tank of gas and back on the road again! Actually, another tank of gas and back on the road cut again! After a week or so at Lower Heyford the poor internet signal got the better of me and today we have moved back to Aynho. We caught up with our friends Barry & Sue on nb Esther headed north from their sojourn on the Kennet and Avon and enjoyed a lovely roast dinner with them, thanks Sue. To return the compliment I fitted a new klaxon horn for them after a close encounter with a hire boat at a bridge on the way up. I have acquired a GPS receiver from our son Jeremy and installed Navvygator which should plot our progress automatically as we journey along, watch this space! Last weekend it was the first anniversary of moving onto our boat and starting our liveaboard life. We celebrated at the Jolly Boatman at Thrupp; Chrissy (our first crewmember when we collected the boat) husband Toni, Bones & Maffi made up the select group friends and we talked and supped a few drinks until they called last orders at 10pm! Total distance is 202 miles, 7¼ flg and 197 locks. There are at least 35 moveable bridges of which 26 are usually left open; 24 small aqueducts or underbridges and 6 tunnels. This is made up of 176 miles, 4 furlongs of narrow canals; 26 miles, 3¼ furlongs of broad canals; 151 narrow locks; 46 broad locks. 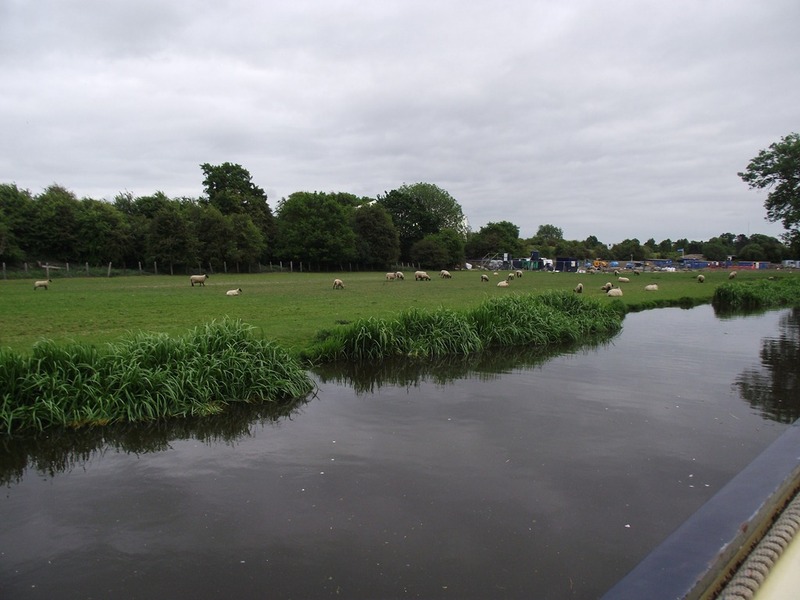 We arrived back here at Lower Heyford on Friday and found a mooring easily, it’s just opposite the church and has the River Cherwell separating the canal from the railway line. 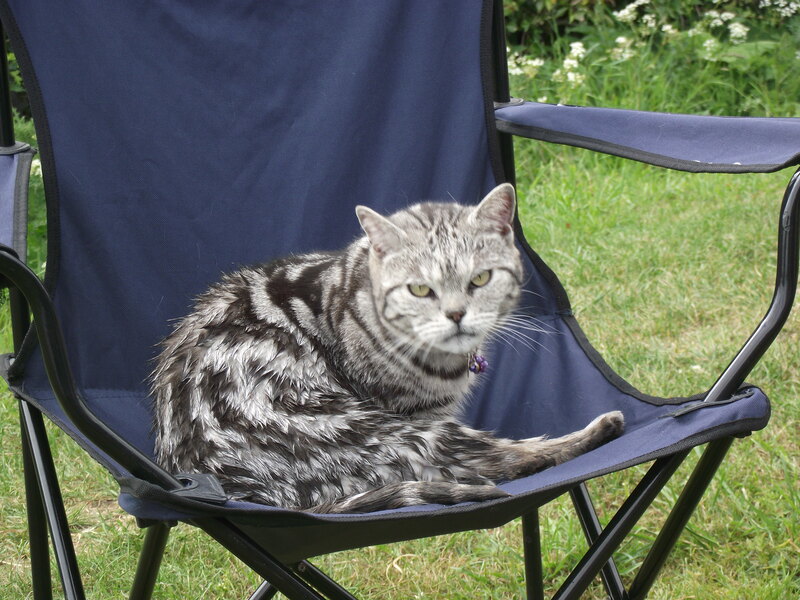 This location is good news for Catty as she is allowed out once again to explore the little wooded area leading down to the river and she has already show her appreciation by presenting us with a couple of mice. Although she normally faces down most dogs she meets, two excitable black Labradors caused her to take to the roof of the boat this morning. Before we left Aynho a pair of swans came by to show of their new brood of signets and demand food (quite aggressively) in return for the privilege. Here at Heyford there’s just family of moorhens whose chicks chirp continuously although I’ve only seen one of them! 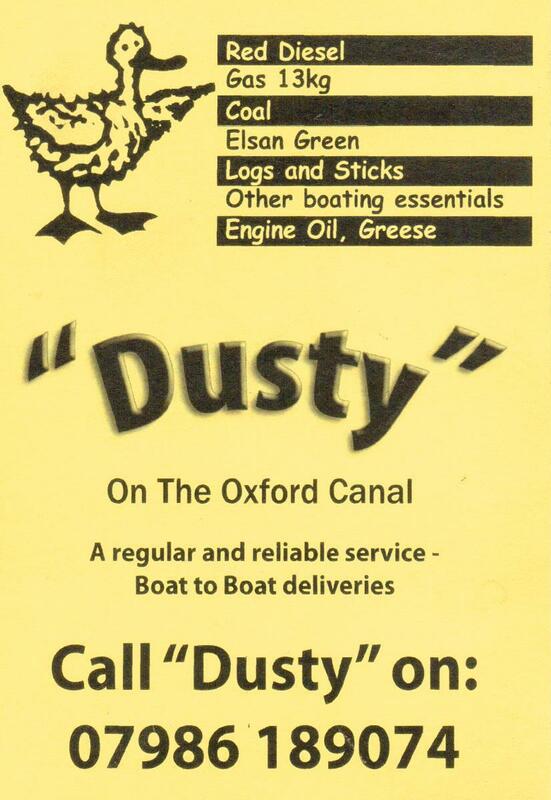 It will be good to catch up with friends from the area and have already seen folk from Oxfordshire Narrowboats and caught up with the gossip there. This morning we’re off to church at The Chapel – Heyford Park and will catch up with more friends. This weekend is the first anniversary of us moving onto our boat and starting our life as liveaboards, Joy said she wanted to try it for a year to decide if she liked it, but she actually decided long before that it was the life for us. 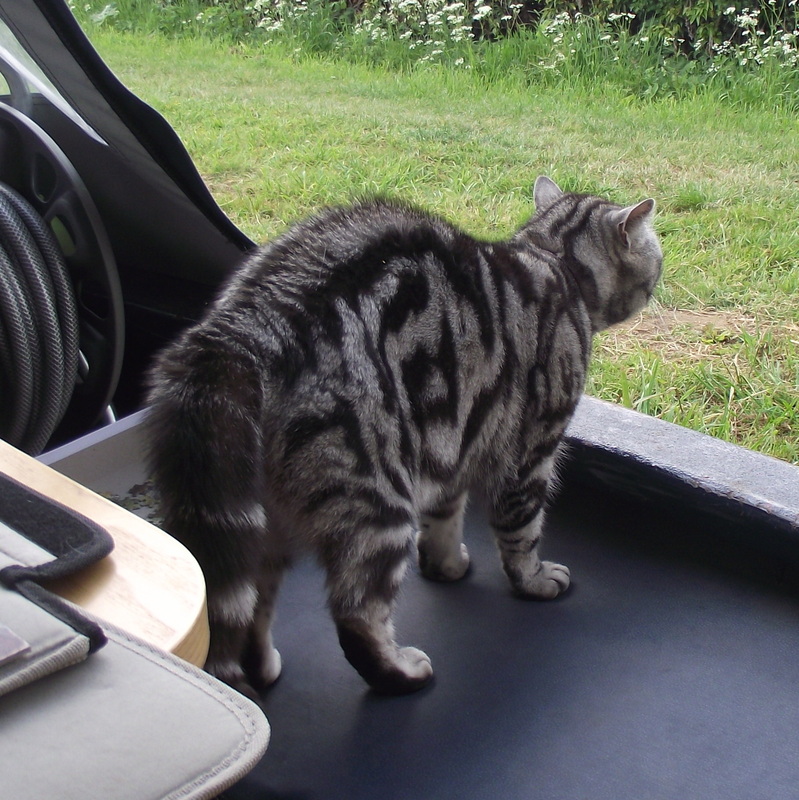 Anyway… here we are for a couple of days opposite Aynho Junction where the railway lines from Oxford and Bicester join to go into Banbury and on to Birmingham and because the canal is between our boat and the railway, Dad has persuaded Mum that its safe for me to go out exploring. Wheeee! The reason why we have stopped here is because Mum has a wheezy chest and needs a rest, Dad wanted to rub it with someone called Vick but she told him to behave himself. Anyway… its really nice here and I’m very busy inspecting all the hedgerows and keeping track of which boats come and go. Oh! 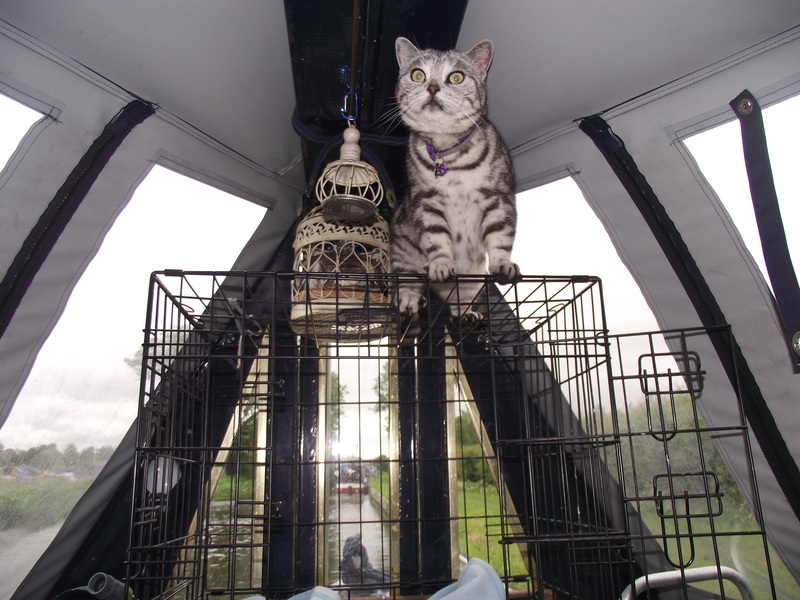 I’ve got to tell you last night there was such a noise on top of the boat I was sure there were bad people about like the ones who untied nb Meybe in Banbury & they woke up on the other side of the canal. I tried all ways to see what it was and made Dad laugh until he took me out the back door and I found out it was just a couple of cheeky ducks on top of our roof! There are sheep and lambs here too who are very noisy sometimes so I have to keep them order, just a minute I’ve got to go and see a dog off who’s walking along my towpath. Well that told him, I fluffed myself up and arched my back and he’s gone now, him and his silly ball he was carrying, sorry but I’ve got to go now, I need some lunch after all that fun, then I’ve got to go and patrol the towpath again. Ooops! Water seems to be wet. I was just inspecting the towpath… and well I don’t quite know what happened. Pisht! A slow day today with a visit to motor factors to buy glue to re-fix bolts to our hopper windows and to Tooleys to buy some brass bolts to re-fix a fairlead which got sheared off in Birmingham by stopping the boat using the centre-line and a lock bollard when we got a plastic bag around the propeller. As we came through Banbury lock we met another Pom on his way back home to Brisbane who had just happened to stop at Banbury for a coffee & to kill an hour or so. A visit to Banbury Sanitary Station was occasioned to do some domestic boaty stuff and a visit to Morrisons for provisions (for Catty) and lunch. There’s a railway line just across a field which is full of sheep and a compound for contractors upgrading the rail line but it all seems quite peaceful at present even got good TV and internet. Yesterday was an admin day and certainly a frustrating day, I have been trying to renew our BW boat Licence since last month but couldn’t do so on line because we did not have our renewal number (“see your renewal reminder notification” which we had not received!!!) I tried ringing the BW Licensing Team but each time got a recorded message saying they “were very busy, try again later” after which I was cut off. I emailed them asking for our renewal number and an automated reply said “The office is very busy and all items have to be prioritised; we will do our best to respond to your e-mail promptly.” I had still not received a reply but on collecting our mail there was a letter from BW, ah this must be our reminder… no but it was a Application Form with a covering letter dated 20 Jan 2011 and postmarked 26 Jan 2011 !!!! “Where tick boxes are used, place a cross in the selected box” Classic! I don’t know if I still qualify for prompt payment discount as the old licence has now expired, but they still won’t answer the phone so I have applied it anyway & sent off my cheque. You couldn’t make it up, could you! Amongst the mail there was unwelcome letter from Gloucester County Council telling me I was to be fined for driving in a bus lane, yes well it was true, but it was for crossing Llanthony Bridge, Gloucester early on a Sunday morning to deliver batteries to our son’s boat when it was on Llanthony Visitor Moorings right next to the bridge, what else was I supposed to do? Hey Ho, another email sent to officialdom! 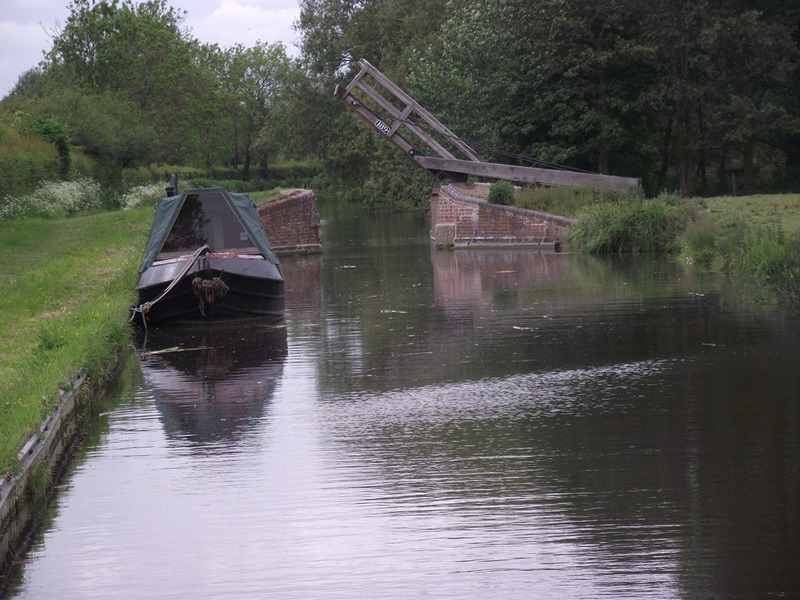 Last night there were two programmes on BBC4 which we wanted to see, Julia Bradbury’s canal walk of the K & A and The Golden Age of Canals following it, guess which channel we were unable to get last night! 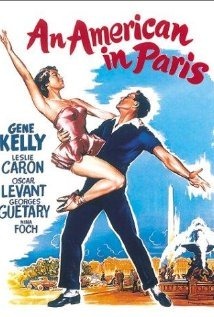 Hurray for iPlayer is what I say, we did see the K & A programme even if I did use all my internet allowance and The Golden Age of Canals is repeated on Thursday. 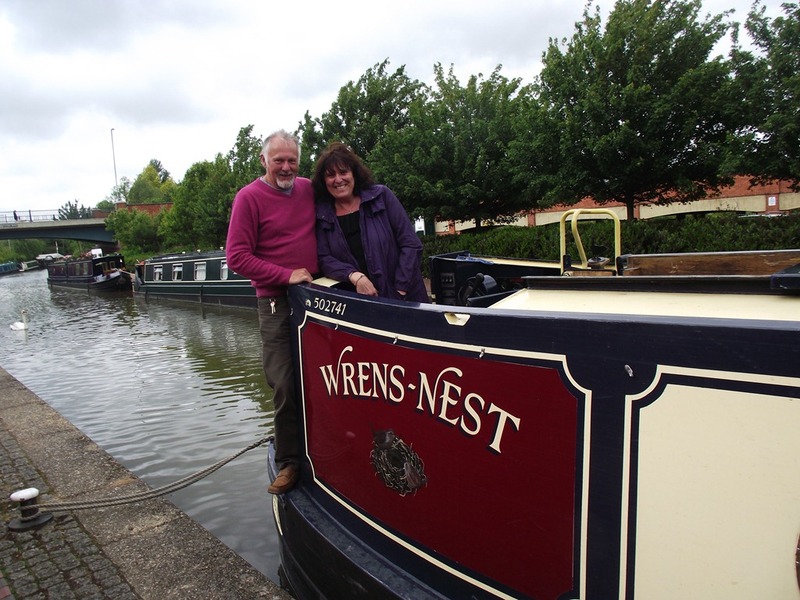 Not quite An American in Paris or in truth even an actual Australian in Banbury, but a friend from Australia was aboard Wrens-Nest yesterday. Marilyn (aka Maz) paid a flying visit to us yesterday before returning back home. 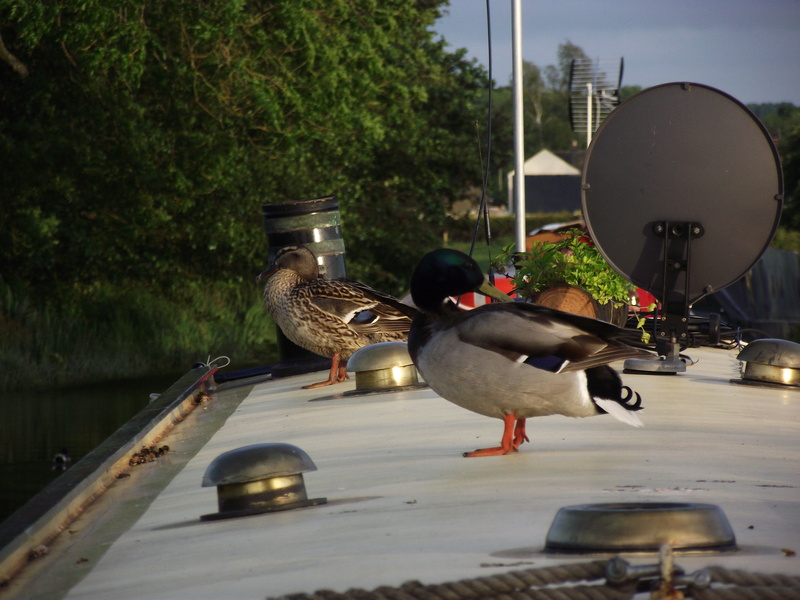 We made the most of our time together with Sunday lunch at the Barley Mow at Upper Heyford, a short cruise through Banbury with instruction in using a lock and a drink or three in the evening. Although Maz has lived in Perth for 20 years she’s still hasn’t taken Aussie citizenship and is still a Swindon girl at heart who likes a beer, I tell her they don’t have proper beer “down under” so we had to sample some real ale. We started off in the Old Auctioneer, seduced inside by a member of staff promising Duelling Pianos later (a la Jules Holland), but though the music was good, the volume drove us away as conversation became impossible and when you only see someone every few years time to talk is precious. We did meet some Americans who had hired from Oxfordshire Narrowboats who were similarly discouraged from patronising the pub which was a great shame as it had a good atmosphere and decent beer. We moved on to the Grand Union pub (someone should tell them the Grand Union doesn’t come as far as Banbury) that too disappointed as it was almost empty with only three people at their Poker Night and a selection of real ales “coming soon”!